We know that rolling over the miles is what brings home the steady paycheck, but we also believe in taking the time to see the world and abiding by the Federal Motor Carrier Safety Administration’s Hours of Service Regulations. With our layover, stop/pickup, and detention pay, you just might have time to soak up a few sites! In our last installment of “Making Your Route More About the Road,” we highlighted some of points of interest in Alabama and Georgia. 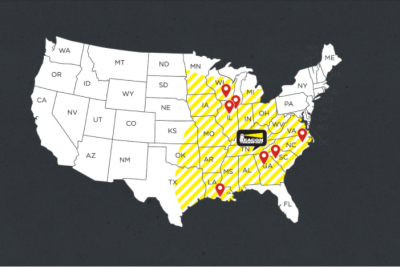 This time around we’re covering points east out of Nashville to Wilson, North Carolina. In the 588 miles from Nashville to Wilson, you’ll cross through one time zone, a state line (obviously), one National Park, three National Forests, and past a city that exists in four counties. We’ll assume you’ll want to make tracks as you start the journey, so we’ll limit our first few tour “stops” to points of interest you can see from the comfort of your cab. Just a few hours into your journey, you’ll pass by signs for the Oak Ridge National Laboratory (ORNL). For those of you wondering what, exactly, goes on in those Tennessee hills, you’re in the right place. The ORNL is the Department of Energy’s largest science and energy laboratory that provides the nation’s best researchers with the best equipment and resources to solve the country’s most pressing scientific questions and challenges. Research on manufacturing, grid security, national security, neutron science, nuclear reactors, computing, and more all occurs within this sprawling facility. Believe it or not, the ORNL is open for tours, so if you have some extra time to spare you can see it for yourself. As you roll through Knoxville on your way to Wilson, be sure to look to your right to catch a glimpse of the Sunsphere, built in 1982 as the centerpiece of one of the last World Fairs to be held in the United States. During the Fair, it would have cost you $2 to ride the elevator to the observation deck and even more to enjoy a signature Sunburger or a Sunburst, a fruity rum cocktail. The Sunsphere and its observation deck closed to the public after the Fair but reopened in 2007. As you make your way through the steep grades that are the hallmark of I-40 throughout the Great Smoky Mountains National Park, keep your hands on the wheel and eyes on the road but know that this is a great place to take the kids and family for a weekend of camping, fishing, hiking, and horseback riding at Harmon Den and Max Patch Mountain. If after surviving the winding way into Asheville you find you need some sustenance, park the truck at a nearby truck stop and grab a Lyft to 12 Bones Smokehouse. After indulging in the Hogzilla, you may want to walk back to your rig. As you make your way east to your final destination, you’ll pass near High Point, NC. Known for its furniture, textiles and bus manufacturing, High Point is also the only city in the state with a corner in four different counties: Davidson, Forsyth, Guilford, and Randolph. Parts of the city top out at over 1000 feet, making it one of the highest points in the North Carolina Piedmont. It’s all downhill from High Point! Just over two hours after seeing High Point in your rearview mirrors, Wilson is on the horizon. Here’s where you need to go: Whirligig Park, where farm machinery repairman, Vollis Simpson puttered his way to artistic fame by creating gigantic, colorful, and fanciful kinetic sculptures (or, “Whirligigs,” in Simpson’s words). Interested in seeing the world with Beacon? 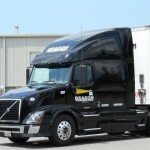 Become a Beacon Truck Driver today!